I have just discovered a marvellous book about Roman Britain by an author I had not come across before. 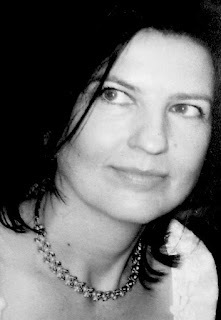 Bronwen Riley works for English Heritage and has already written several books including one about Transylvania. I found her latest book, Journey to Britannia*, while researching my fictional series set in Britain. 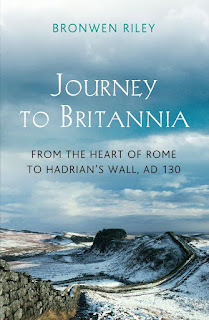 The hypothetical account of a Roman official's journey from Italy to Hadrian's Wall does what all my favourite books do: transports you to another place. She describes modes of travel, landscapes, monuments, works of art, customs and food. As a Classicist, I applaud her accuracy and as a writer I admire her prose. It's like a travel guide to Roman Britain! When I discovered that Bronwen grew up in a beach hut, read Classics at Oxford, lived among woodcutters in the mountains of Transylvania and then took an MA in Byzantine art at the Courtauld, I had to know more! She kindly agreed to an interview by email. Caroline: The bio on your agent’s site says you were born in Lancashire and that a beach hut on Morecambe Bay had a big impact on your life. Tell me more about this hut! It was great when I was writing Journey to Britannia to think about all the Roman routes through the north west. There is so much written about Roman roads but it really struck me when researching this book how important transport by sea was and how much cheaper and potentially quicker it was than travel overland. Yet the coastline has changed so much that evidence for many ports has vanished. Caroline: You read Classics at Oxford. Do you remember what first sparked your interest in Classics? Which bits of the subject did you most enjoy? Bronwen: I loved history from my earliest childhood but I was interested in other periods too, not just Greeks and Romans. My childhood summers were spent in Sussex and I remember wonderful visits to Bignor and Fishbourne. 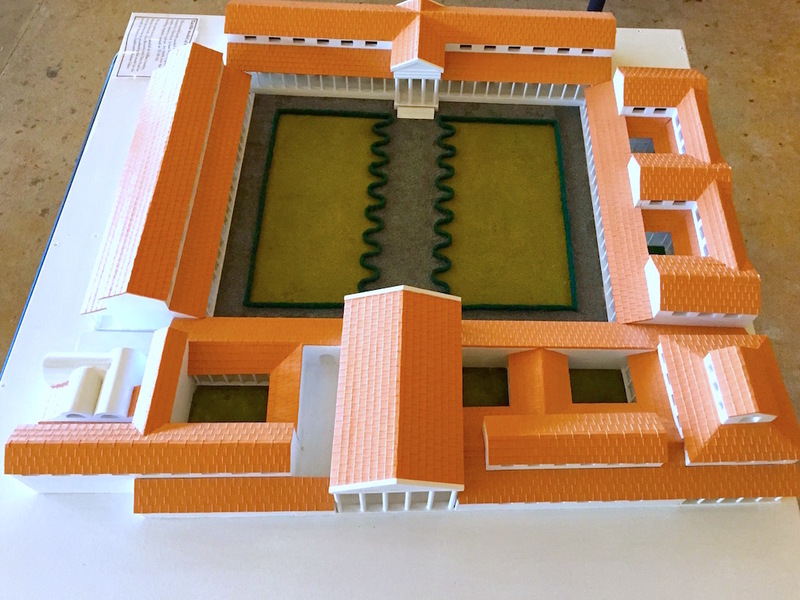 I spent hours making the paper model of Fishbourne palace but I also adored the Weald and Downland Museum, and making the model of the medieval farmhouse too! I always enjoyed Latin but when I first started learning it I dreamed of using it to read medieval manuscripts because I was crazy about medieval history at the time. It was only when we started to read Latin texts that I became really enthralled. I remember sitting in the classroom reading Aeneid II and it suddenly hit me that I was reading an actual piece of text written by a Roman poet and it gave me an absolute thrill which has never gone away. For A-Level we read Pliny's Letters and Tacitus Annals I. I enjoyed Pliny because he provided such vivid social history and Tacitus for both the history and also the way he uses language. One of the pleasures of writing this book was to revisit both Pliny and Tacitus. But then at Oxford I became completely absorbed by Greek which I had done very little of beforehand. Although it was a very traditional course at the time, it still offered a wonderful variety of subjects over four years - language, literature, philosophy, history and art history. I loved the history and literature. Caroline: In your book Transylvania you write that when you were young you always dreamed of stepping back in time. When – as an adult – you boarded a night train in Budapest and woke up in Transylvania, you did just that. What took you to Transylvania? Bronwen: When I was at school, I remember reading somewhere that Romanian was a Romance language. I had never heard of Romania at the time and as it was impossible to find books about it (long before Internet!) in our library, I had only my imagination to call on and I imagined it was called Romania because that was where the last of the Romans had sought refuge there after the fall of Rome! Although I learned this was not the case, I was still intrigued by the mystery of how this country, surrounded by Slavic and Magyar speakers, remained an island of Latin even though it had been occupied by the Romans for a far shorter period than had Britain, for example. 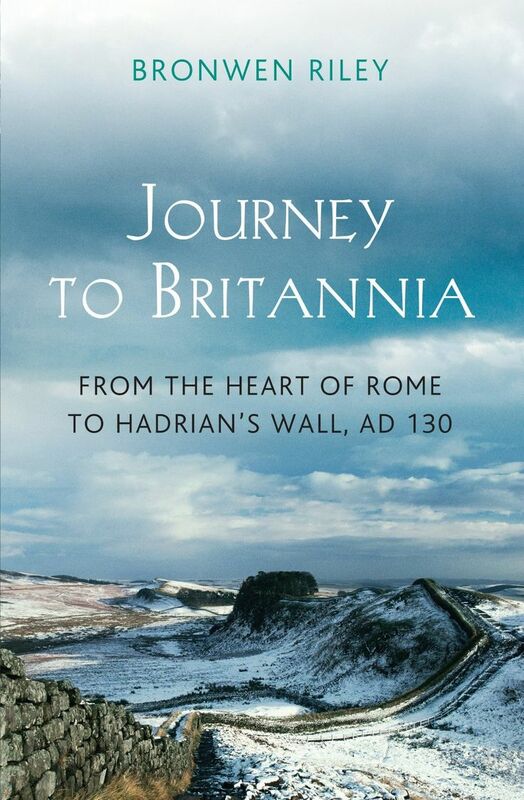 Caroline: What inspired you to write Journey to Britannia, your book about travel and life in Hadrianic Britain? Bronwen: I work for English Heritage and have spent a lot of time thinking about how in a guidebook we might convey the history of a site and describe how it might have looked at various stages of its history. This isn't always easy when, for example you are standing at a Roman site which has been only partially excavated... Buildings change over time, as do people, in their manners, dress, language, relationships, art, literature, religion and so on. Yet more often than not we find books on 'Roman Britain' a period of a few hundred years referred to and considered as though it were one static period. I wanted to discover if it were possible to choose one particular period of 'Roman Britain' to evoke certain key places at one particular time. I also felt it important to put Britain in the context of empire and of the lives and literature and tastes of those who ruled her. By thinking about the time and distance it would take to travel to the north of Britain from Rome, I hoped to gain some insight into how the province might have been perceived. I chose AD 130 for several reasons – because we happened to know the names of some key personnel who served there at about that time and who were all connected with each other; because Hadrian's Wall had been completed and was undergoing modifications; because Hadrian is a fascinating character who was himself a restless traveller; because there were some key literary sources for round about that period. 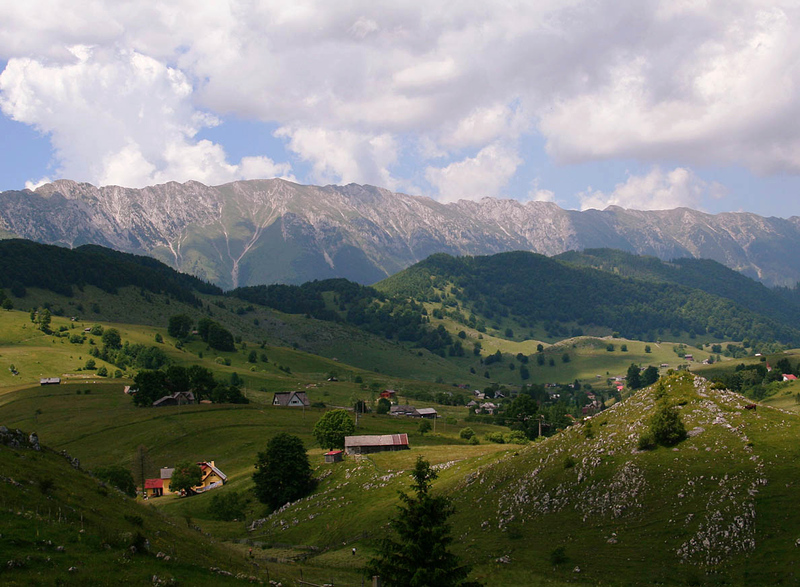 Caroline: How did your time in Transylvania illuminate your understanding of Roman Britain? Bronwen: That's a fascinating question which I've never thought about before beyond the fact that I'm naturally interested in the Dacians who served here in Britain and the Britons who served in Dacia. 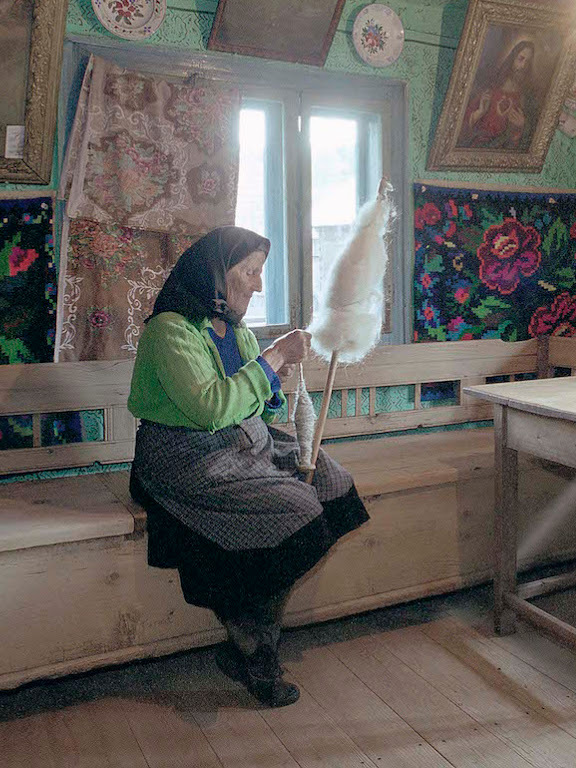 In general terms the time I spent in a remote village in the mountains of Transylvania illuminated my understanding of the pre-industrialised past and of peasant culture and in magic belief and the way in which that sits side by side with Christianity. Caroline: Imagine you could really step back in time and see life way it was and glimpse some historical characters. Where and when would you go? Bronwen: That is terrifically hard! When I read that question for some reason, I got a mental picture of Delphi and archaic Greece and Pindar and chariot races. I would also like to see lots of classical Greek art in situ in great temple complexes with their magnificent paintings, statuary and all the sumptuous textiles we have lost. In fact, if you allow me to whizz through time, I would like to see and touch lots of textiles – stops in 18th century London and Paris would be good in that respect with a coffee house break thrown in! I'd like to see Boudicca and Cartimandua and know what they looked like and what clothes they wore and how they behaved to others and how others behaved towards them and to know what languages they spoke. I'd like to hear Latin spoken in Britain by all sorts of people and to visit Carlisle at the time of St Cuthbert and to see how much was left of the Roman remains at that time along the whole of the wall. But I'd also like to travel back much closer in time. I'd like to see the changing configuration and interior of my house in Cumbria and to observe how the inhabitants occupied the spaces and how they decorated them over time. It's easy to forget how tastes, behaviour and language change in relatively short periods of time. Caroline: Thank you so much for taking the time to answer my questions, Bronwen. I love Journey to Britannia, and I hope that other History Girls (and Boys) will soon discover its delights. Just a brief note to say that the main link to Amazon and the link to the kindle version are currently both broken: each needs an "h" added right at the start. The hardback link works though. This all sounds fascinating! I am going to look out for Bronwen's books. I am especially interested because in my recently-published novel "Inscription," one of the protagonists, known as Marina in her Latin-speaking world of ancient Italy, is originally from Britannia. 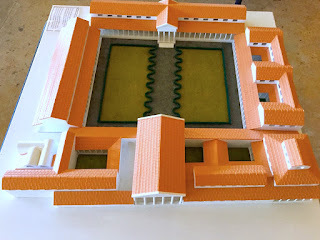 The story unfolds during her exile on the island of Pontia (now Ponza), alongside a young Roman woman connected to the Emperor Domitian's family; they are exiled by Domitian himself. But then she travels back to Britannia by land and sea—the sea is an important theme in the book, and I looked at sea routes as well as land ones. My book is set in the late 90s AD (not far off from Bronwen's choice of AD 130!). I read many, many books about the time and the places and the people and tried to be as accurate as possible, not contradicting anything we know, while using fiction to fill in gaps.....you can see how everything Bronwen says resonates with me! Thank you for posting the interview. Christine Whittemore. Yes, Bronwen's book is brilliant for authors of historical fiction writing about Roman Britain in the last half of the first century and first half of the second. And don't we love Domitian? He is such a great baddie! Indeed! A pity it wasn't available when I was writing mine. Yes, Domitian is quite a character, and my book (or one strand of it—it has a historical and a contemporary strand) is my solution to the puzzle around the members of the Flavian family exiled by him.